This is a book of THOUGHTS to build your LIFE on. It is a unique book … 80 entirely different and unrelated chapters . . . each providing about 10 minutes of stimulating and rewarding reading . 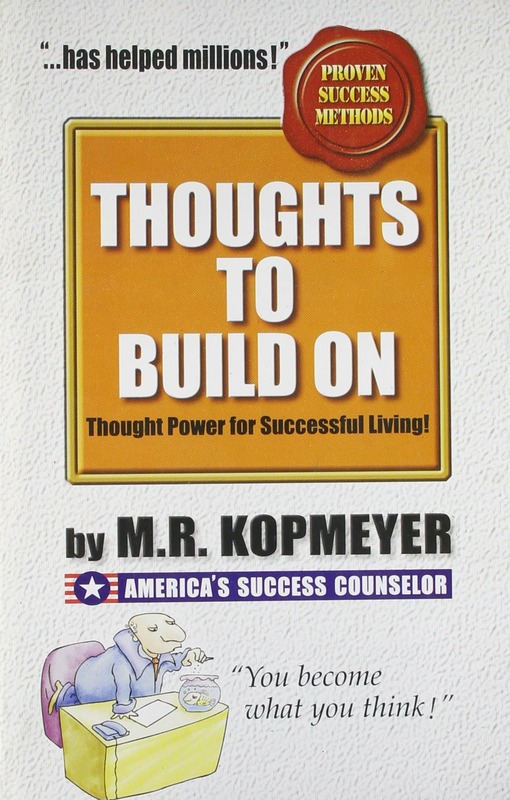 . . each starting your own thoughts on a positive course of immediately useful and profitable ideas … so that you thus may build your life as you want it. It is the purpose of this book to stimulate constructive thoughts, to give your thoughts improved direction and greater substance, to provide the kind of motivational thinking which will enable you to deal successfully with people and problems. Most of the successes that we strive for have been achieved by many thousands before us – wealth, physical ability, social status, control over our minds – these have all been achieved by others and by logic are available to us. WE simply need to adopt the actions and thinking of those who have found the success we seek before us.